With the approaching IFA in Berlin, some companies are jumping on the bandwagon announcing products that they will be hoping to showcase to consumers. Alcatel is on the bandwagon and has announced their latest smartphone, the One Touch Idol X with a 5-inch screen and an ultra-slim body. The smartphone was first announced months ago and we will be able to get our hands on one soon. Behind the former French company Alcatel is a Chinese company, TCT Mobile, and they join the long list of low-cost manufacturers based out of China. However, there seems to be a movement on increasing the quality while still attempting to maintain the lower costs associated with manufacturing in China. 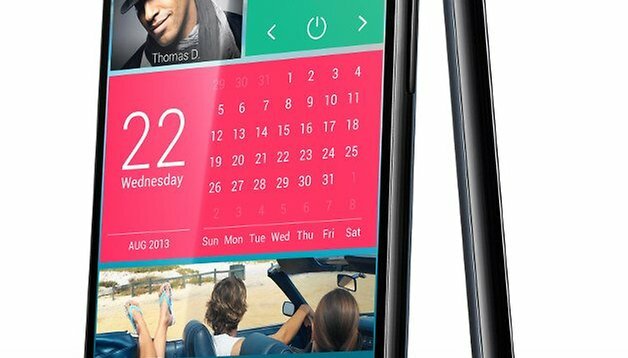 The Alcatel One Touch Idol X comes with some pretty impressive specifications behind it: the 5-inch IPS display with full HD resolution requires almost no side bezel, and while still ultra-slim, the housing - at 6.9 mm - is still thicker than the 6.19 mm Huawei Ascend P6. The remaining hardware specifications are impressive: the processor is a quad-core chipset with 1.5 GHz. The camera has a resolution of 13 megapixels and is running Android 4.2. The only drawback that we can really think of while looking at these is that the battery is sized only at 2000 mAh. We will reserve judgment of how everything works in this package, notably the small battery, until we get a hands-on assessment at the latest IFA. Right now, it appears that the device will be available in black, red, and yellow with prices and international release dates still unknown. That's good to know Reg as I don't have much on-hands time with an Alcatel device. All I can really go by is reviews online and other people's testimonials. If alcatel supports their customers, and listen to them, instead of saying they're wrong, maybe they would have a chance. Wrong usb id's, weak wifi, and more.. Their onetouchmanager is a joke. Bought a adr3010, and it's not too much better, than my old huawei ascend, plus the updates, are from late 2012! Beware.